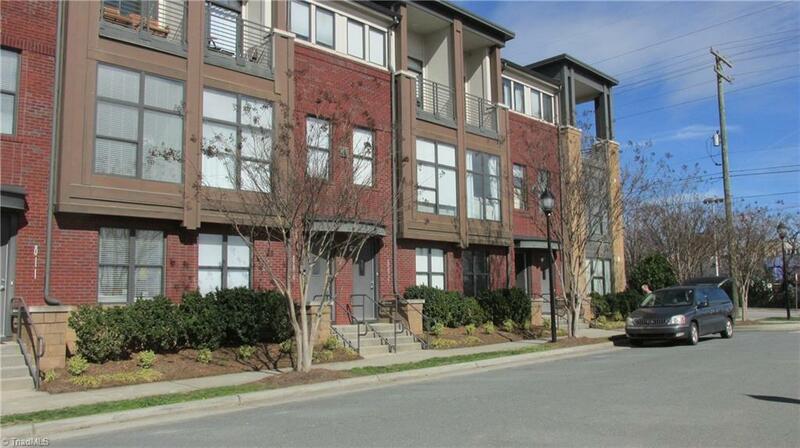 Fantastic 3 level condo, located within walking distance to BB&T Ballpark, shops, restaurants and so much more! Spacious open floor plan with upper level master suite, complete with balcony and spectacular views, huge WIC, large MB, and laundry room. The kitchen is located on the 2nd level and has tons of counter space, an island with bar stool seating that all opens to the living room. On the entry level is the 2nd bedroom, full bath, a secondary living space with access to a private patio.